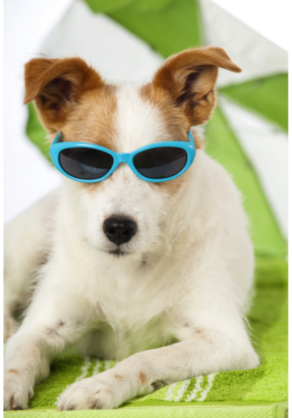 If you plan on going vacation from Miami sometime soon, then it would be vital for you to think about your pets while planning everything out. Let’s face it: traveling with pets can be quite tricky, but leaving them behind can be worrisome, too. Here are some tips that can help put your mind at ease. 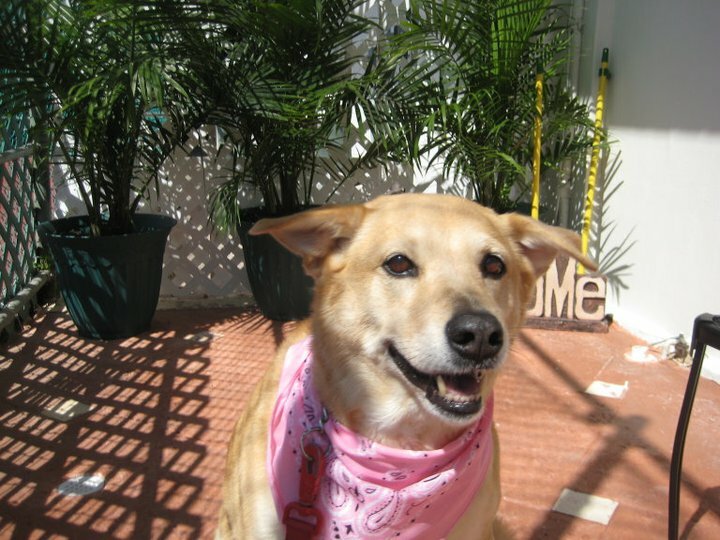 Bella is trying to find an awesome pet hotel to stay at while her parents go on vacation! If it is your first time considering a pet hotel for your little ones, then you will be happy to hear that there is a lot of information on the World Wide Web regarding pet friendly hotels/resorts nowadays. All you have to do is do some quick searches online and you can already compare locations and prices with ease. After narrowing down your search to around three hotels, call each one of them up and ask for extra information before making your final decision. If you need some help making this decision, then gather your friends and family members around and ask for their input on each result that you have narrowed your search down to. Google will help you find a place that is close by thanks to their awesome search algorithms. For example, if you are looking for a pet hotel or grooming place near you… all you have to do is type in your city next to the words pet hotel or grooming. Google displays your closest options along with their reviews! 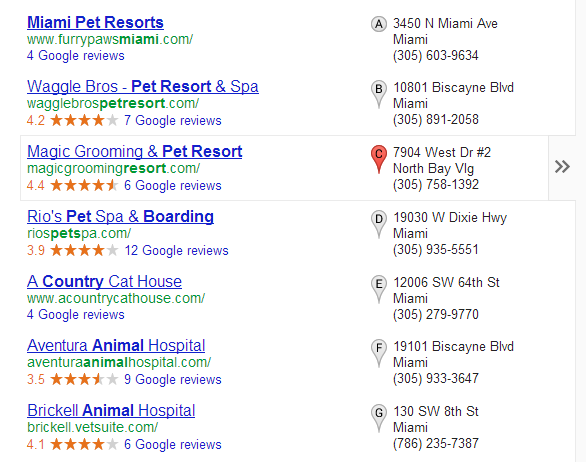 On the pictures below you can see that Magic Grooming and Pet Resort has awesome reviews and the highest rating. Once you have made your choice, the next step would be to study the hotel’s rules and policies about pets. After all, while some pet hotel chains may let your pet roam free, others might require pets to stay in their crates all the time. 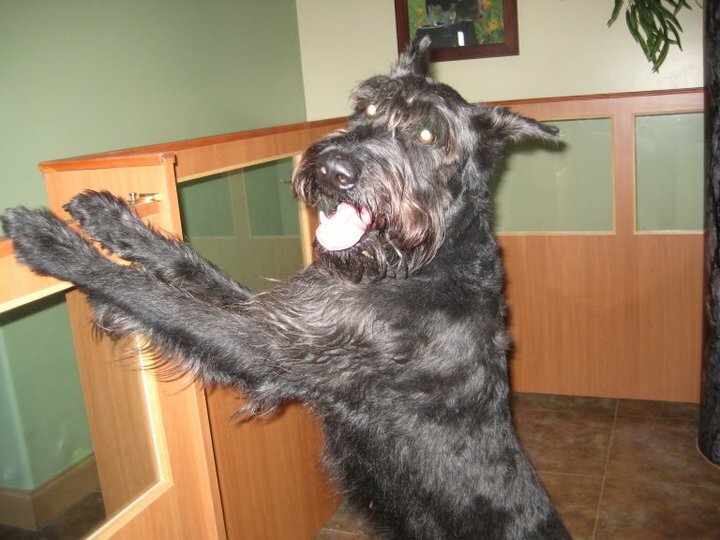 Here at Magic Grooming we provide the best security for pets and we do not have cages. 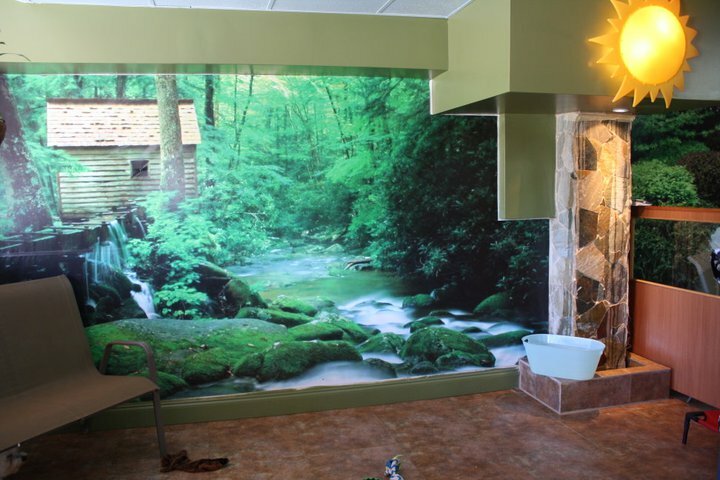 Our rooms are comfortable and our play areas will sure make your pet waggle it’s tail. Naturally, it would be important for you to think about what would be best for your pets before booking a room for them. This means checking out the room sizes and play areas, amongst other things. Keep in mind that staying in a cramped room can wreak havoc on your pets, so take time to investigate all of your potential options. This way, you can enjoy your vacation without worrying about your little ones back home whatsoever. With this step-by-step guide under your sleeves, you should be more than prepared to make the best decision in terms of overnight or even week-long vacations without your pets. 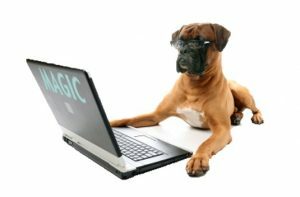 If you want to make sure that you leave your pets in good hands after you leave Miami, Magic Grooming and Pet Resort has the perfect solution for you. Check out our Facebook page to get special coupons and see what our resort has to offer! next post: Pet Hotel: Where Will Your Pet Be Staying?